Holding onto those old Beanie Babies may have payed off! Many of us are a wee bit guilty of being unable to throw away our old toys as we grew out of them. There is little doubt there are millions of boxes of discarded toys gathering dust in the darkest reaches of the storage sheds and garages of the nation. Whatever outrageous amount they cost back in the day is now barely worth putting into any self-respecting garage sale. In stock market terms, their valuation has hit rock bottom. Surprisingly, a number of our favourite playthings of yesteryear have actually held their worth or even risen in value. Here's a list of some of the most recognizable toys we all used to love and what they're worth today. We all recall this lightbulb-powered toy which featured tasty-looking, multi-coloured, translucent plastic pieces which appeared to light up when inserted into the black paper-covered holes. Still available as a smartphone app which is much cheaper than the $310 an original "magic screen" is worth currently to collectors. Remember the bear with the googly eyes and blue denim shorts? Of course you do! It was the best-selling toy of both 1985 and 1986 and even spawned an animated TV series in the latter year. Originally costing a cool $69.99 the bear has undergone many makeovers over the years and now retails for up to $145.00 on Amazon. How much for an original Teddy Ruxpin in the box now? A cool $400. POW! BIFF! This article features lots of expensive action figures but the 1960s Batman action figure is in a league of its own fetching a whopping $16,000. These plush "stuffy-type" toy were once all the rage but could usually be purchased for less than $20.00. The special edition Princess Diana version, on the other hand, will set you back... are you ready for this? Diana Beanie Babies in pristine condition can fetch up to $475,000! Austrian-born Pez candy has been around since the 1920's when the originally round candies were created by confectioner Eduard Haas. The dispensers came about a decade later. The Nowadays you can even order customized ones with Pez versions of your own friends and family. Relatively inexpensive, you can get a complete collection of modern Pez machines for as little as $175. Iconic dress-up doll Barbie have always enjoyed great popularity at a reasonable price. Except the "World Barbie" series. A collection of these babies will run you $1200. That's nothing compared to the asking price for an original Barbie in the familiar black and white swim suit which are priced in the $20,000 neighborhood. 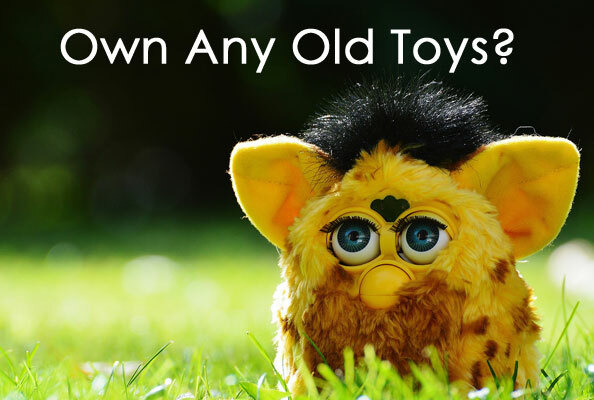 Surprisingly, the electronic pets known as Furbies are still being manufactured and are available for a little as $35. This is a great deal compared to original models which are being advertised to collectors for $900 or more. Few little girls in the 1980s went without a Cabbage Patch Doll. The birth certificate-bearing dolls were first sold for about $25. If you were wise enough to keep it in the box and keep it in your safety deposit box, it would now be worth a whopping $3000. Sonic the Hedgehog computer game from 1991 which is still in the box. Everybody has loves the Peanuts gang featuring "good old Charlie Brown" since they hit the funny papers in the late 1950s. This may be why a Schroeder at the piano figure from 1958 is currently priced at $2,995. Another fad doll that took their little girl target market by storm, Strawberry Shortcake was a product of the early 1980s and are still sold today. How much for a vintage one? Just $1000. What a deal! Companion product, My Little Horse is a real steal for only $600. Still sold today, My Little Pony dolls designed for little girls were a smash when introduced and can now fetch up to $600 for an original one still in the packaging. You could almost buy a new horse for that! Those instantly recognizable stuffed animals with their unique totem image on their tummies were fairly reasonably priced when first released. Now a complete collection of the newest ones will reduce your bank balance by between $5000 and $7995. That price is unbearable! Tamagotchis were virtual pets that flooded the toy market in 1996 priced at about $15. They remained popular and even spawned a movie. A 1996 model still in the box will set you back a little more, though... like about $3000! What little girls didn't want one of these growing up? Introduced at a fairly hefty $125 in 1964, sadly it was a bit too pricey for many parents. Now it looks like a bargain when compared to an Easy Bake Oven Super Treat Centre which goes for a mere $4,600. Hot Wheels cars, introduced in 1968, poked a huge hole in Matchbox car sales with their racing tracks and faster speeds. A new Hot Wheels racing car cost less than $5 back then while currently a complete set of them is just... gulp... $8,500. You can buy a decent used car for that! Want to invest in pieces of paper with pictures of imaginary creatures on them? If so, Pokemon are for you! A package of cars back in their inaugural year, 1999 were under $5 but in 2018, a collection of those cards is worth $5,995. Think that's a bit much? A single 1995 Alakazam card is apparently worth $7,500. Since 1977, millions of kids have enjoyed their Star Wars action figures featuring heroes like Princess Leah and Han Solo. If they had kept their collection of 9 figures from 1977 in the original packaging they would now be worth $2000. Many classic Star Wars-themed toys demand a high price among collectors bu it seems kind of unfair to charge $24,000 for a Millennium Falcon Lego set you have to build yourself! For over three decades Transformers have been a popular toy with many happy hours of play time invested in them by young girls and boys. Apparently these kids should have saved them as a financial investment, though as The Voltron Club Lion set on its own is currently running at $1,299. These popular, pricey high-end stuffed animals have their own interactive website, which is why they retail for up to $20. Or, you could buy the complete collection of 15 Webkniz pets for a mere $1,100. The beloved toy cowboy protagonist from Pixar's Toy Story movie franchise was a must-have Christmas gift for many hopeful children who dreamed of receiving the $20.00 toy. Now a rare Woody doll can be theirs for $1,200 making it too rich for a Santa. The lesson seems clear. Tell your kids to forget playing with toys; but save them in the original packaging for a few decades and make big bucks on them, instead. It may not be as much fun for kids but they will appreciate the dough when they're in their thirties.